… which we hope you find when you empty Outlier Cartel’s first bottled beer! Let us proudly introduce the first Outlier to come in bottle form – Honey Chestnut. Why not a more creative name? Well the label says it all – we’ve lovingly crafted this gem from wild urban honey (thanks Rob!) and chestnuts sourced from the Waikato. Honey chestnut is a seasonal ale at 6.5% alcohol, perfect for those cool autumn nights and reflecting with gratitude how good the year has been. We are enchanted by our bottle design, so thank you Sam Haehae for your inspiration. 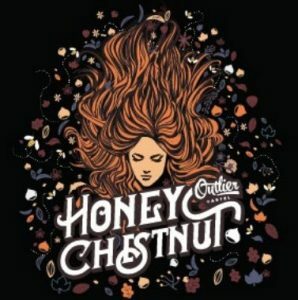 We are limiting this to only 1,000 thousand bottles, so go to your favourite Cartel stash areas and for Honey Chestnut! Thanks to all our fans who have made this possible.